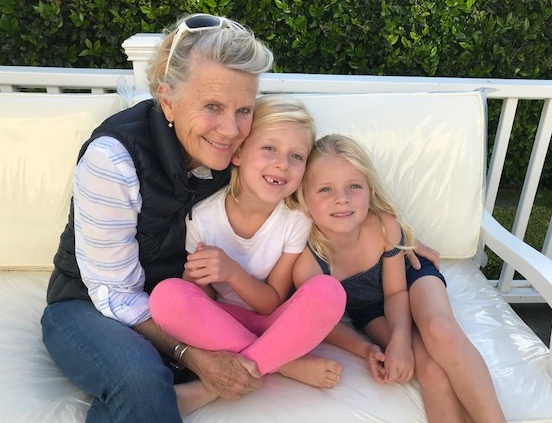 Twenty months after aggressive surgery for malignant pleural mesothelioma, Hatsie H. celebrated with her grandchildren by taking the ski lift to the top of Vail Mountain. At 11,250 feet above sea level — where many people in perfect health struggle — she took a deep breath and smiled. They all skied down the mountain together. Hatsie, 67, whose last name is withheld for privacy reasons, is a retired school teacher and a mesothelioma survivor who has lived in Vail, Colorado for more than 40 years. She underwent a pleurectomy and decortication surgery with Dr. Raphael Bueno at Boston’s Brigham and Women’s Hospital in 2016. And while the post-surgery recovery was difficult — Hatsie was readmitted twice with complications — she has rebounded with the fire and determination that has marked her life. Hatsie has slowed somewhat, but she is far from done. Instead of mountain biking on the rugged trails of Vail, Hatsie rides the stationary bike at the gym. And instead of playing singles tennis, she now plays pickleball, a condensed version of the sport requiring considerably less movement. She lifts weights, stretches and takes fast walks instead of daily runs. She mostly stays on the tamer blue and green ski slopes instead of skiing the challenging black diamond trails. Hatsie flew to San Francisco earlier this month, not to sit and visit like grandmas often do, but to help her daughter’s family move into their new house. That meant packing and unpacking boxes, washing sheets and making beds. It meant dusting, sweeping and rearranging furniture. “I’m cheap labor,” she said with a laugh. She stayed a week before flying home to start planning her next trip. Hatsie returns to Brigham and Women’s Hospital to meet with Bueno every six months, getting scans and checkups that have shown no new tumor growth. The staff there often marvels at her pace when she greets them. The nurses struggle to keep up with her stamina tests. Hatsie recently returned from a trip to Amsterdam with her book club. She and her husband will travel to Red Lodge, Montana, this summer to visit their son and his family. She expects to go hiking. They will take their annual trip this winter to Naples, Florida, where she still expects to swim in the Gulf of Mexico and walk on the beach daily. Hatsie and her family were stunned by the diagnosis of pleural mesothelioma. She was puzzled initially by her sudden shortness of breath, having thrived at high altitude for most of her life. But one test led to another. The fluid in her lungs was drained, and it returned. Nine months after those first symptoms appeared, her diagnosis was delivered. Hatsie and her husband have talked about moving permanently to a lower elevation — where her breathing might be easier in the future — but leaving behind their high-altitude, high-energy life in Vail will not be easy. Although she grew up in Boston, she moved to Colorado for college and fell in love with the place. She met her husband there when he worked for a ski company, and she was taking tourists four-wheeling across the countryside in jeeps. They raised their kids there. She also taught school there, for 37 years. Hatsie taught in a rural, two-room school house. She had to chase the wild turkeys off the playground every day, so the kids could have recess without being attacked. She also discovered her knack for oil painting — a hobby she pursues today — after taking her first art class 13 years ago. Some of her landscape portraits have been sold in local shops. Their home today, which sits on a beautiful five acres in Vail, includes a barn and her small art studio.